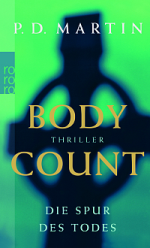 The Missing is two Sophie Anderson short stories – one set before book 1 in the series (Body Count) and one set after Body Count. 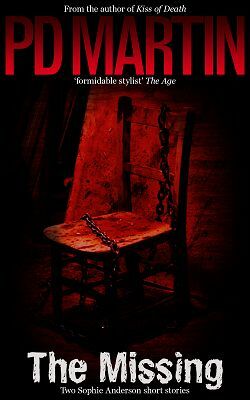 Story 1: Sophie Anderson is working in Victoria Police’s homicide department when her boss assigns her to a local kidnapping case. Her boss’s deal is simple: ‘Find my friend’s ten-year-old daughter and I’ll send you on the FBI course you’ve been nagging me about.’ But Sophie doesn’t need incentive to rescue a young girl. She throws herself into the case, racing against the clock to bring the girl home…only too aware of what the perpetrator might be doing to her. Story 2: Sophie Anderson is still a relative newcomer to the FBI’s Behavioral Analysis Unit when her profiling skills are called on for a kidnapping case in DC. Presidential candidate Senator Keen’s daughter is missing and Sophie’s mission is simple: find her and keep it quiet. But as Sophie investigates the senator and the daughter who’s kept out of the public eye, she discovers more than a straight case of kidnapping. The second story also includes an alternate ending. The Missing is available on Amazon for US$0.99.